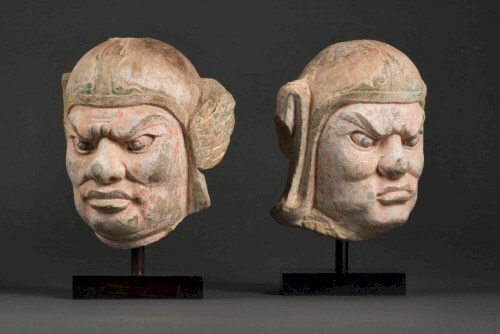 NEW YORK: Asian art is gloriously basking in the sun this year. While 42 extraordinary galleries from around the globe open their doors with one-of-a-kind exhibitions during Asia Week New York, The Metropolitan Museum of Art is celebrating the centennial of its world-renowned Department of Asian Art. Even Vogue editor-in-chief Anna Wintour jumped on the bandwagon as she recently visited Beijing to promote the Met Costume Institute’s upcoming exhibition China: Through the Looking Glass. Works of art from all over the Asian continent and spanning over four millennia will be shown throughout Manhattan by international Asian art specialists during Asia Week New York, starting March 13 to March 21, 2015. Art lovers can take in museum-caliber treasures including the rarest and finest Asian examples of painting, sculpture, bronzes, ceramics, jewelry, jade, textiles, prints and photographs from all over Asia. Says Carol Conover, Chairman of Asia Week New York 2015: “This year is especially meaningful for Asia Week New York, since it coincides with the 100th anniversary of the incomparable Department of Asian Art at The Metropolitan Museum of Art. Asia Week New York always creates excitement, and never more than this year. For six years, Asia Week New York has pursued its singular mission of integrating Asian art into the cultural fabric of New York and promoting its unique appeal worldwide. For further information please follow this link . . .